You would have come across various reports that underline the rise of mobile technology throughout organizations. Even maintenance and operations department are feeling the need to go mobile. Pew Research Center’s surveys shows that over 92% of American adults possess a cell phone, out of which over 58% are smartphones. This is an incredible opportunity for organisations. How can maintenance management benefit from the integration of mobile technology in it’s processes? Manufacturing companies can’t do away with their preventative maintenance plans, especially those with multiple assets and inventory, however if they effectively leverage the mobile approach, they can see a significant improvement in their efficiency metrics. 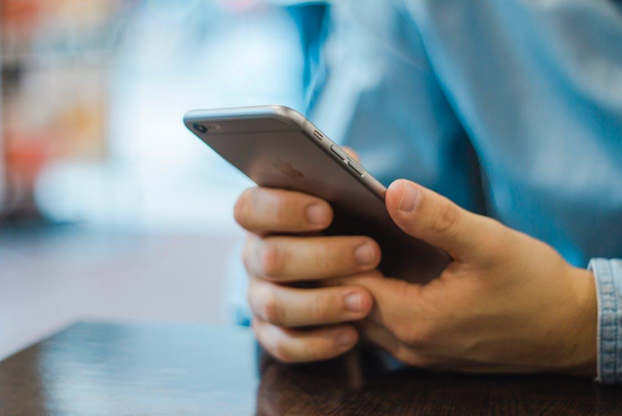 With mobile maintenance software, your staff team will be able to reap the perks of CMMS, undeterred by their physical location, just by using their smartphones. Let us discuss more of these benefits in detail here. With the increasing integration of smartphones into our daily lives, everyone carry one with them throughout the day, every day. With high penetration rates of fast and stable internet, almost all of us are connected all the time. By using a mobile maintenance software, you will be able to get real-time visibility of your operations and maintenance, without worrying about your proximity to your business centres. Your team can now focus more on other off site works. Based on the fact that you will be able to check the status of your maintenance software from any location on the globe, you will be informed immediately in case of any advancements in your workplace and thus you will be able to respond to problems in a minimal out of time. With the mobile CMMS system, you will be able to reduce your response time and spend less time between the intimation and reaction processes thus making your team a lot more effective during emergency situations as well. This will save a lot of time and money in the long run. With a mobile CMMS system, your maintenance team is not tied to the physical location of your office. They will be able to track and oversee various preventive maintenance metrics right from the comfort of their home or coffee shop. By implementing a mobile CMMS, you give added perks to your employees, thus increasing their job satisfaction which will ultimately result in increased productivity. CMMS makes paper based management systems obsolete. When you are able to access all the required information and files on maintenance from a single centralised database, which is also searchable, it makes life easier for every last member of your maintenace team. Thus most of your employees won’t have to juggle between various folders and cabinets and files to figure out the right information in the right time. Since every detail is recorded and stored in a centralised CMMS database, things are a lot more easier to find out. When your company gets bigger, there will be so many staffs in your organization who should be updated about the various maintenance schedules and issues. With the help of a mobile software for maintenance, you will be able to provide access to the maintenance data for each and every one of your staff members right from their own smartphones. Thus you can save so much time and money on those unnecessary meetings to provide status updates.